At 7 p.m. on November 29th, 1962, 5,000 Washingtonians dressed in black ties and furs arrived at the D.C. National Guard Armory for a $100-a-plate dinner, and fundraising show titled An American Pageant of the Arts. At 9:30 p.m., “with the blare of herald trumpets from the United States Navy Band, the President and Mrs. Kennedy walked into the glare of spotlights in the darkened Armory and up to their places at the head table.” President and Mrs. Kennedy started the event by addressing the crowd about the importance of the arts in fostering American culture and a healthy democracy. Afterwards, the master of ceremonies for the evening, Leonard Bernstein, took over and the 2 hour and 43 minute show, featuring some of the greatest performers in music, literature, and comedy, began. The show kicked off a $30 million fundraising initiative to raise money for the construction of a National Cultural Center on the bank of the Potomac.Efforts to construct the Center began in 1958, when President Eisenhower signed a bipartisan legislation authorizing its creation. Despite the approval of this important legislation, fundraising efforts didn’t really take shape until John F. Kennedy became President. The Kennedys took Washington by storm when they arrived in 1961. JFK and Jackie embodied qualities of class and culture, and promoted them extensively throughout their time in the White House. One of the culture initiatives that they took hold of was carrying out the completion of the new cultural center, for which progress had remained stagnant since the Eisenhower Administration. In an attempt to boost fundraising money to construct architect Edward Durell Stone’s building, Kennedy came up with the idea to hold a variety show that would feature artists of different genres coming together to support the arts, and a national home for them in Washington. On the evening of the show, hoards packed the Armory and thousands more watched a closed-circuit telecast at the Capitol, the Indian Spring Country Club, and six area university campuses. 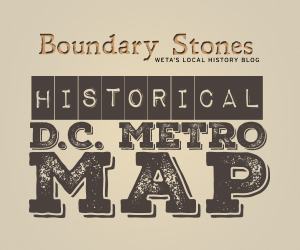 As the Washington Post dubbed it, the show was “a city-wide sellout.” In addition to the 20,000 people watching in the District, sixty other cities across the country offered the closed-circuit telecast to viewers both in their homes, and at other small benefit dinners that would split their proceeds 50-50 with the National Culture Center. The show did not go off, however, without a slew of technical problems. Despite efforts to improve the acoustics in the hall, many guests in the “barn-like Armory,” couldn’t hear the show and ended up leaving early. The President and those at the head table, however, were able to hear, and they enjoyed the performances immensely. And “pleasantly surprised” seems like an understatement to explain the top-notch performances that took place that night. After words from the President, actor Danny Kaye took to the podium and led the National Symphony Orchestra in an act that has been described as a satire of great conductors. After the rousing bit, Leonard Bernstein took over as emcee and introduced the rest of the show, which also included “Van Cliburn playing Liszt’s Hungarian Rhapsody No. 12 in C-Sharp Minor on a piano that he had moved from New York to Chicago for the show,” great cellist Pablo Casals in a prerecorded performance, and everything from “Bach to jazz” and “ballet to tomfoolery” by Marian Anderson, Henry Belafonte, Robert Frost, Bob Newhart, Frederic March, Richard Tucker, and the United States Navy Band. A young Yo-Yo Ma, who was “bashful” about having lost a tooth a few days earlier, impressed the audience immensely, and high praise in the newspapers the next day inspired him to “work even harder to master his instrument,” which slowly rocketed him into stardom as a world-renowned and highly celebrated cellist today. The pageant was highly successful and wildly popular with everyone who had the opportunity to attend in person, or watch the telecast. It was not, however, able to generate enough money on its own to support the groundbreaking for the Center, and unfortunately, JFK was also not able to complete that mission in his lifetime. It wasn’t until after Kennedy was assassinated on November 22, 1963, that thousands of dollars in donations made in the late President’s honor flowed in to support the construction of this building. It was also at this time that Congress decided to designate the future National Culture Center as a “living memorial to Kennedy,” and allocated $23 million to finally construct what would become the John F. Kennedy Center for the Performing Arts. President Lyndon B. Johnson broke ground for the Kennedy Center on December 2nd, 1964, and it officially opened September 8, 1971. Kennedy’s fundraising efforts made during The American Pageant for the Performing Arts set the example for the importance of the arts in Washington, and the Nation for many years to come. ^ HelmerReenberg. n.d. November 29, 1962 - President John F. Kennedy Speaking at American Pageant of the Arts Dinner. Accessed November 14, 2017. https://www.youtube.com/watch?v=40HP3NuTMf8&t=177s. ^ The Evening Star. 1962. “Throngs Join Kennedy In Culture Fund Drive,” November 30, 1926. ^ The Evening Star. 1962. “Pageant Viewers’ Comfort Varies,” November 30, 1926. ^ The Kennedy Center. November 29, 1962. 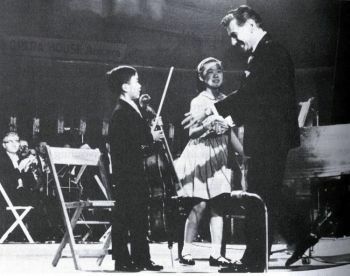 Leonard Bernstein Introduces 7-Year-Old Yo-Yo Ma at the American Pageant for the Arts. Accessed November 14, 2017. https://www.youtube.com/watch?v=7G2QKzp78Zs. ^ Weatherly, Myra. 2007. Yo-Yo Ma: Internationally Acclaimed Cellist. Capstone. pp 9-14. ^ “Kennedy Center: History of the Living Memorial.” n.d. Accessed November 16, 2017. http://www.kennedy-center.org/pages/about/history. Before JFK moved into the White House, he spent 13 years as a resident of DC's Georgetown neighborhood.